The company was founded in 1992 when Miroslav Trnka and Peter Paško, authors of antivirus software NOD, partnered up with Rudolf Hrubý. They adopted the name of the Egyptian goddess of health, marriage and love as the company name. 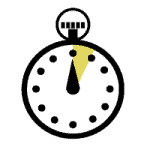 In 1998 NOD received the VB100 award of Virus Bulletin, which helped the company establish subsidiaries in the United States, Argentina and Singapore, and development facilities in Poland and Czech Republic. ESET nowadays is one of the leading security software companies in the world. 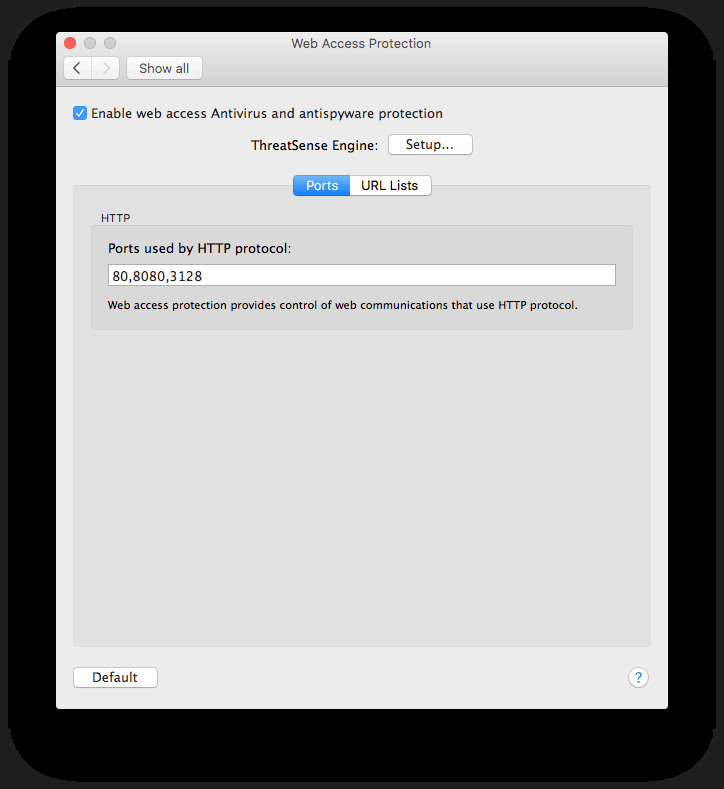 It has a strong reputation and is well known for its outstanding internet security software applications for Windows and Mac. Installation is easy. 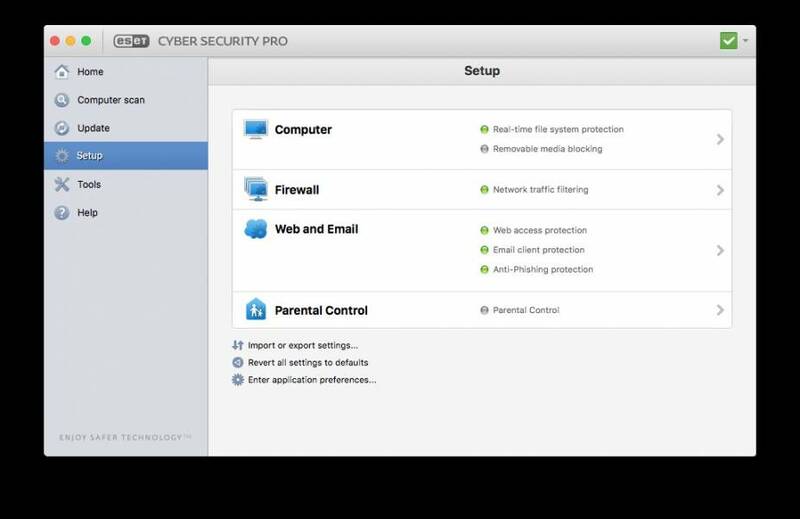 Just follow the steps and choose your personal settings while you are guided through the necessary setup screens. 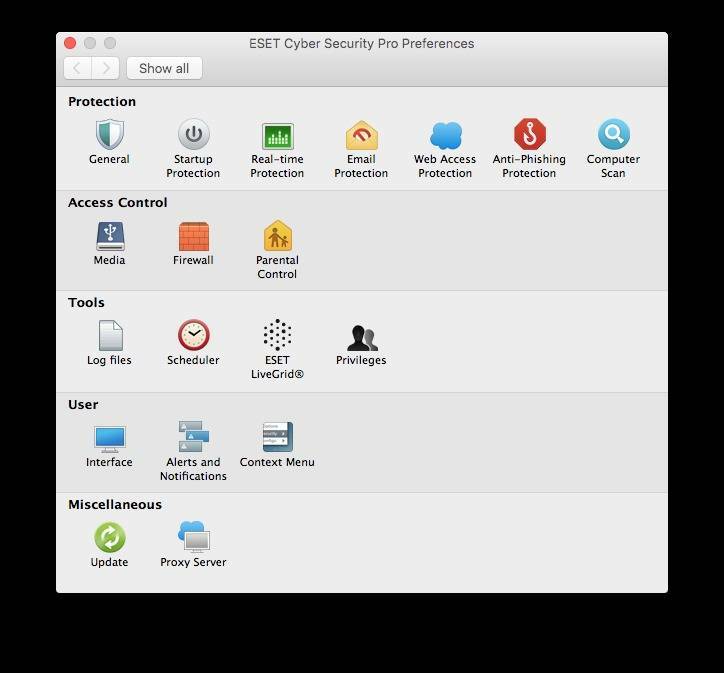 After installation and setup an Eset navigation menu is present in the menubar enabling most actions. 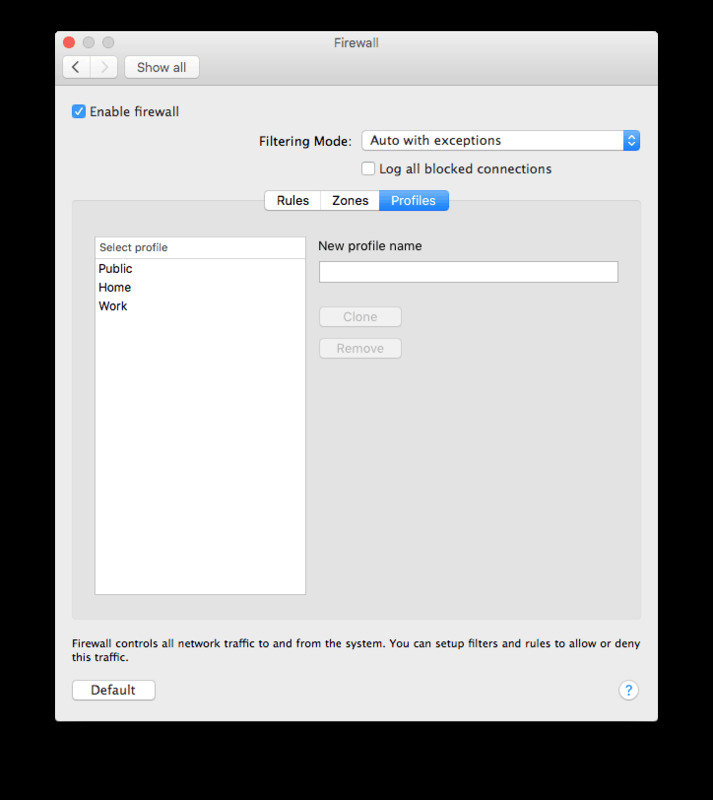 The preferences layout is clean and provides an extensive overview of possible settings. 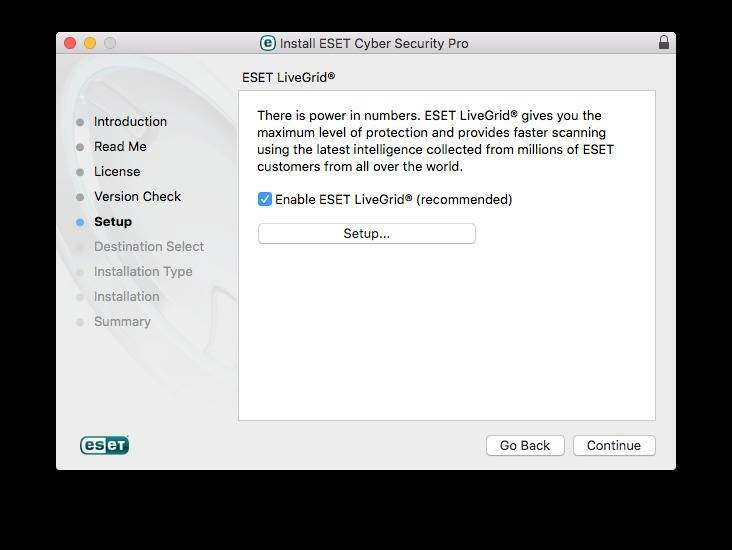 This shows ESET is NOT your average free or basic antivirus application. 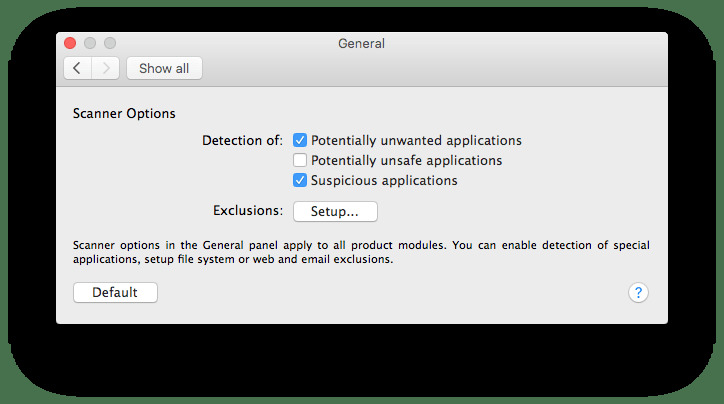 It takes security not for granted and provides a full range of options. 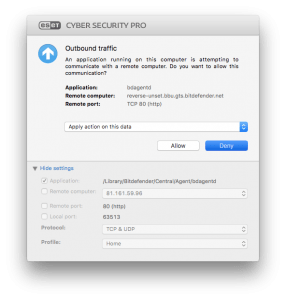 ESET Cyber Security comes with a Firewall protection utility. Default is set on Automatic, but I feel its better to take control over in and outgoing communication. Never rely on auto settings when security is concerned. 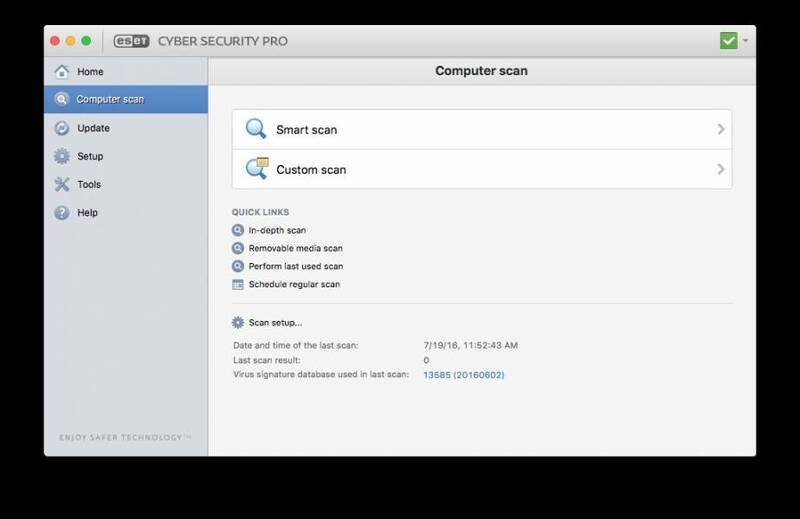 – Custom Scan (choose the files and folder you want to scan). 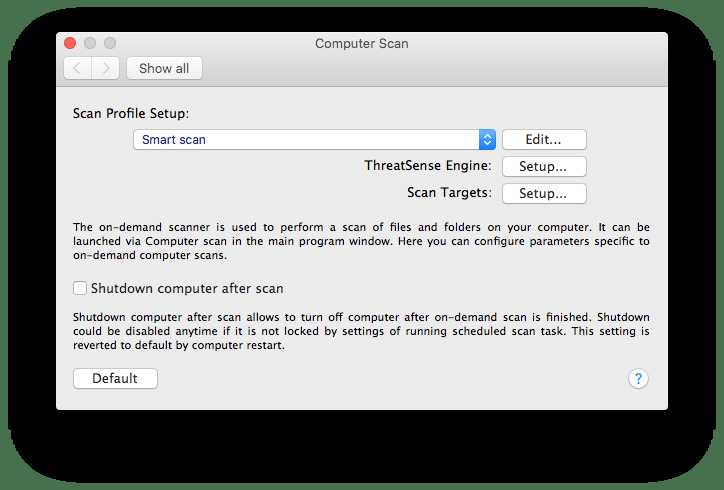 You also have the option to run a Deep Scan, Removable Media Scan and Perform Last Scan as well as access the scan scheduler. 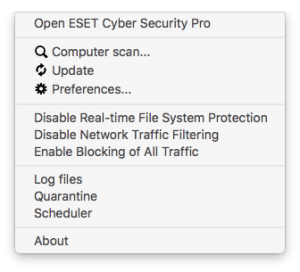 On the background unnotised Eset keeps track of your virusdatabase and checks (comparing known virus signatures plus using heuristics to anticipate new ones ) in real-time. 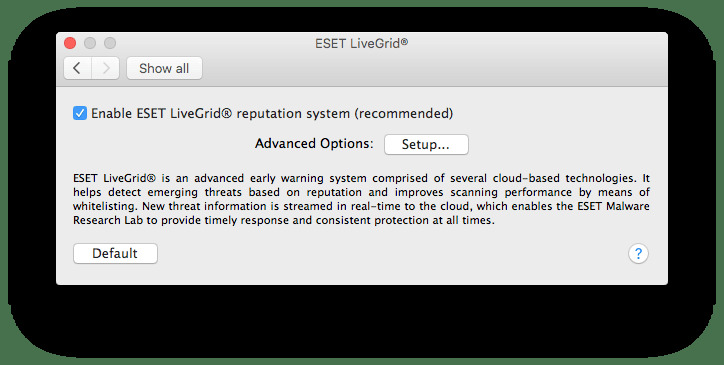 ESET LiveGrid®, used in all our antivirus products, protects you 24/7 by predicting trouble before it happens. Using our unique ThreatSense.net® advanced early warning system, ESET LiveGrid collects data submitted by ESET users worldwide and sends it to our malware research labs for analysis. 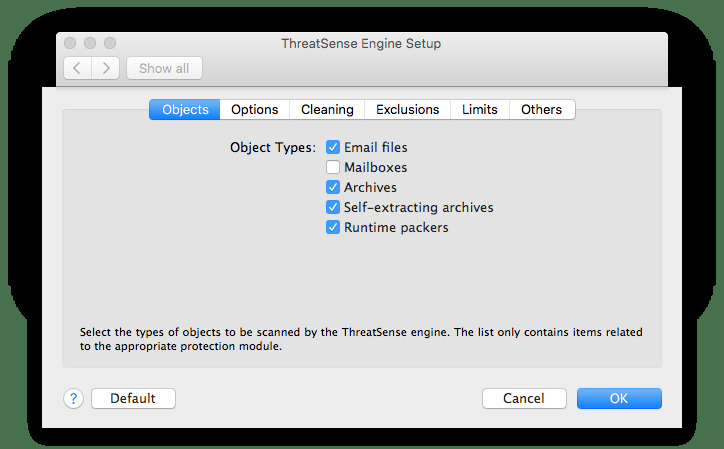 ThreatSense® is the anti-threat engine that powers all ESET products and results in fast reactions to emerging threats. 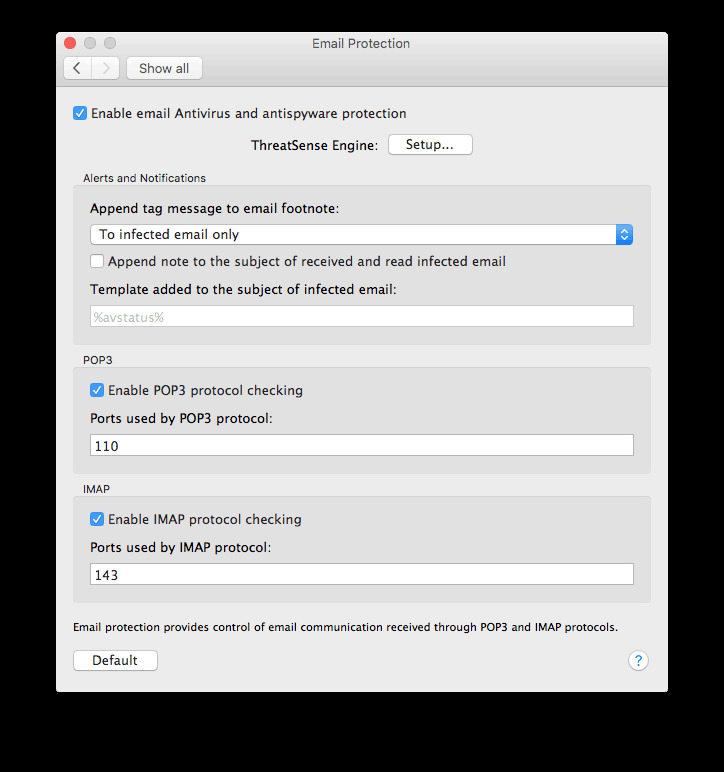 Sample submissions from customers, distributors and partners are an important source of new malware. 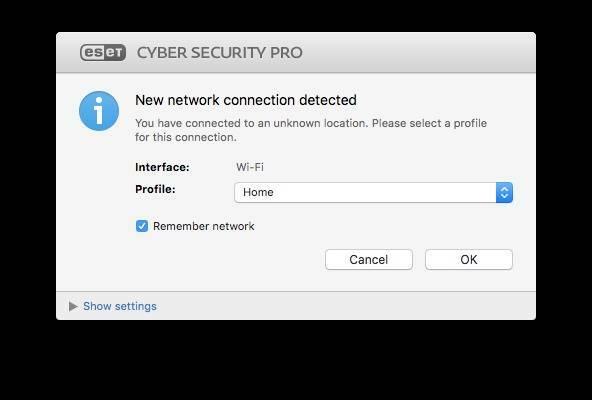 Other sources of samples include sample exchange or active “honey pots” (computer systems specifically set up to invite attacks and provide info on how systems are attacked and where they are vulnerable). Part of ESET’s online Threat Center, the Threat Encyclopedia features an A-Z guide of selected viruses, spyware, and other threats, sorted alphabetically. Updated frequently, it includes definitions of hundreds of viruses and how they behave. 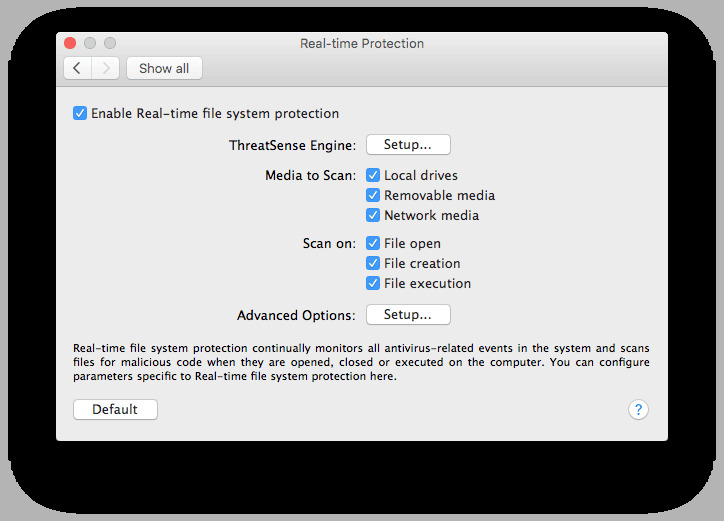 Impact on system performance while scanning is present, as it is with all antivirus applications. 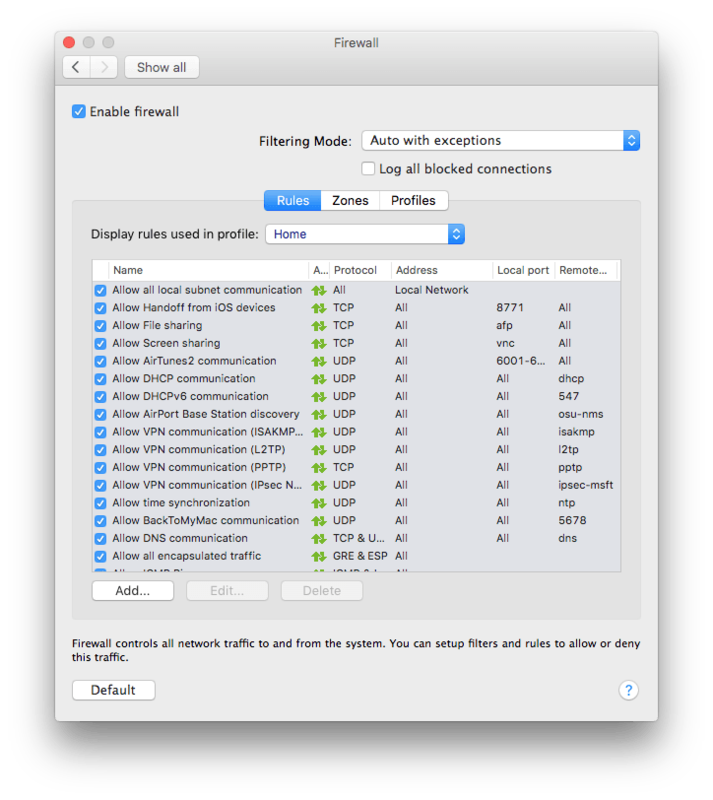 However we feel that in practice it is unnoticeable while working on your Mac machine. Older Mac machines with less powerful CPU and equipped with 8Gb basic memory may notice impact, but CPU consumption is an average 2% which is very good. 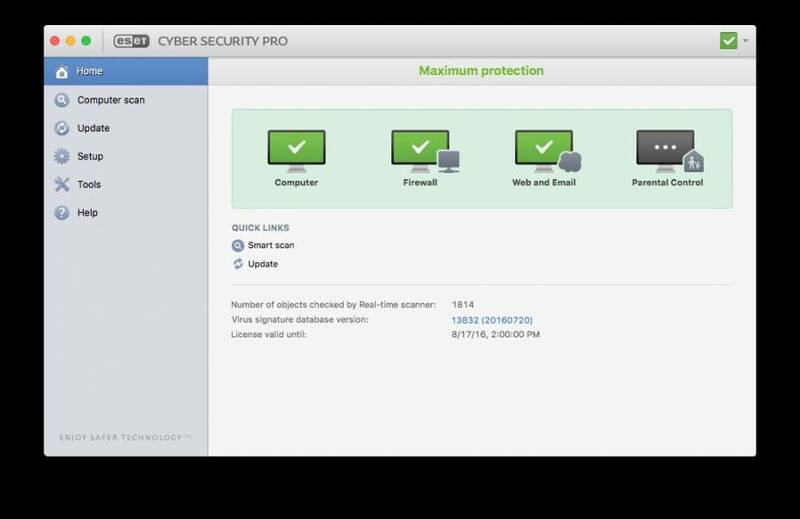 We feel that ESET Cyber Security Pro retains all the plus points of previous versions, namely a clear and well-laid out interface, easily accessible features, along with good alerts and outstanding help facilities. 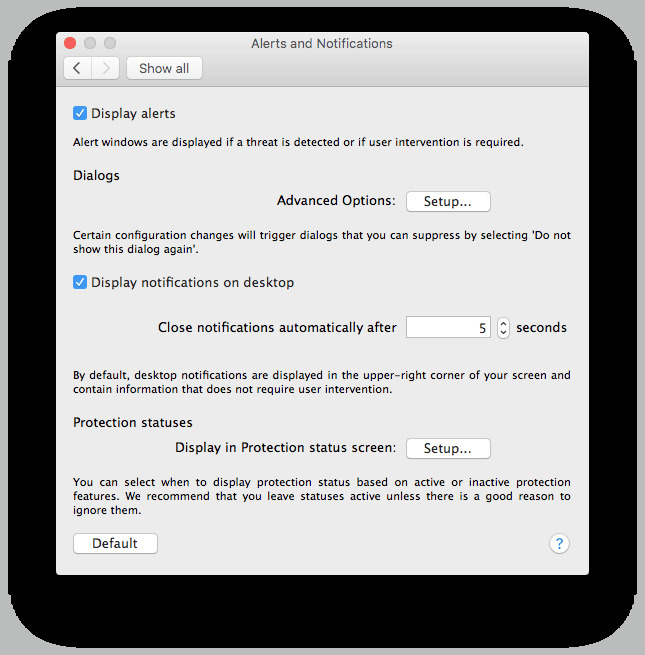 Protection against both Mac and Windows malware in our test was perfect. 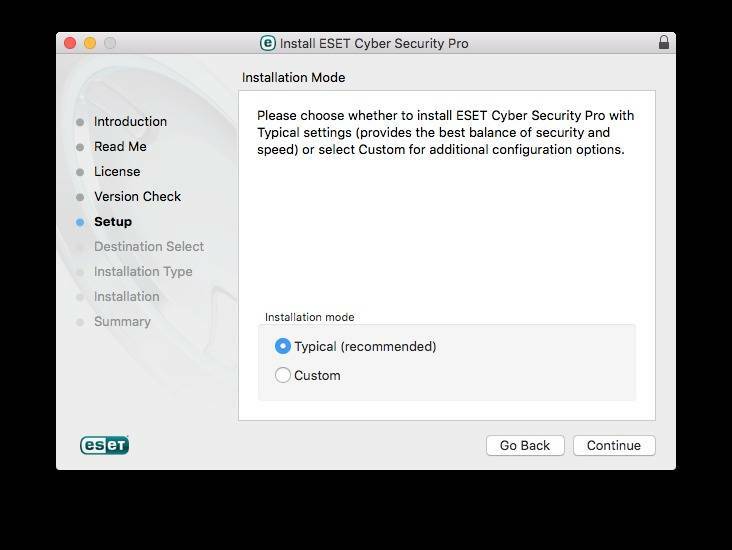 ESET Cyber Security Pro for Mac is a complete and powerful internet security application. 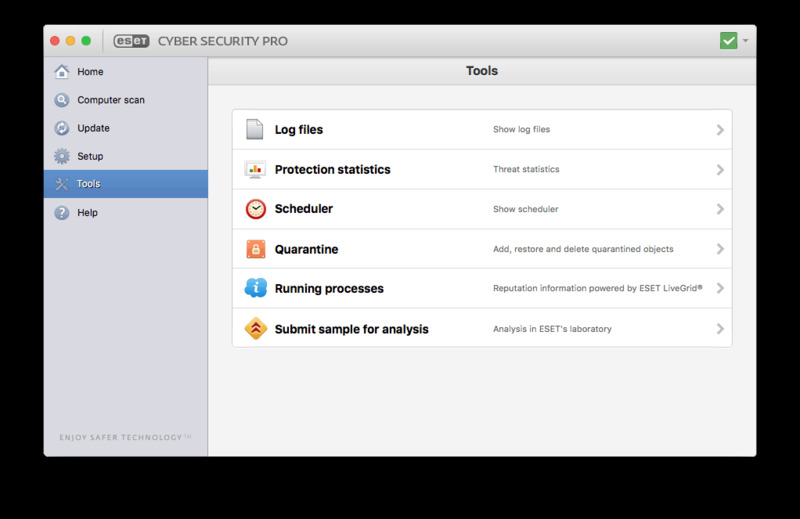 It offers 100% malware detection and file scanning is fast with little CPU system load. 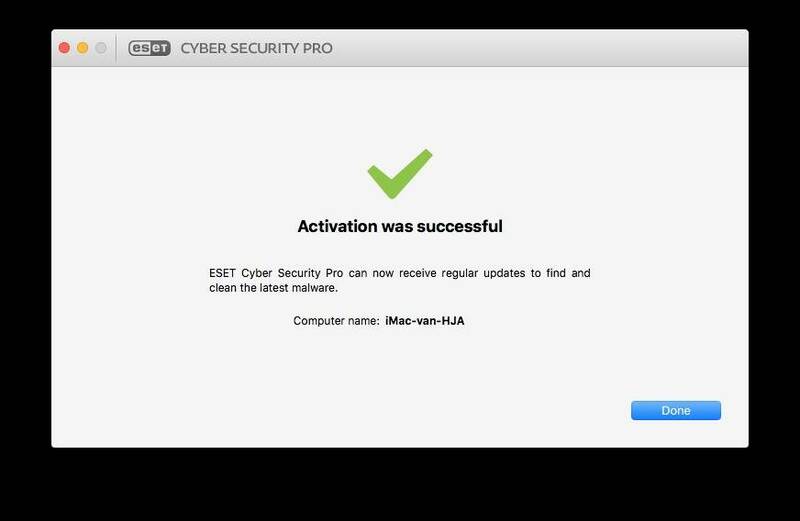 Again Eset proves to be a top player in security and protection applications. 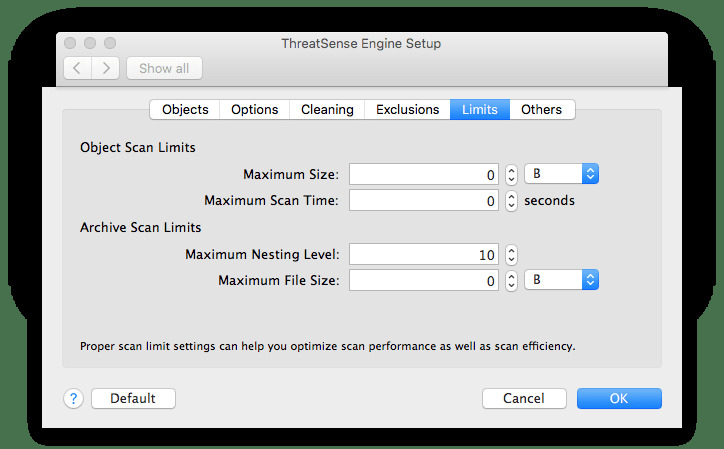 Malware detection 100%, System load impact 2%, Scan speed 1st place, ESET has a security application to be proud of. ESET Cyber Security Pro is our true ‘ BEST MAC ANTIVIRUS 2016 ‘ winner. In this case the winner takes it all, a full 5+ star.